Meal delivery services that'll make your life easier while keeping your dog happy, healthy, and full. Dog food meal delivery caters to dog owners who want to feed their pet safe, high-quality raw food without having to stock up at the pet store every week. It’s a lot like meal delivery services for humans — you sign up to get custom meals delivered around your own busy schedule. But unlike with Blue Apron, you won’t have to cook the meal yourself: Just measure the right portion, thaw it out, and serve it up to your pup. 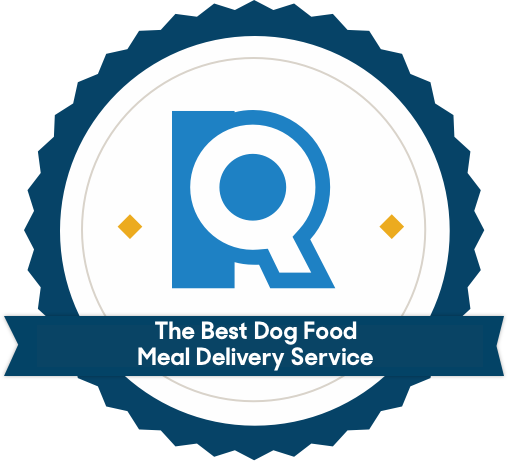 To find the best dog food meal delivery service, we focused on 15 nationwide companies that offer subscription-based, complete, raw meals and skipped any that only delivered dry food or that required you to supplement their recipes with additional ingredients. Dog food sold in the U.S. is regulated by the Food & Drug Administration (FDA) and the Association of American Feed Control Officials (AAFCO). Together, they create regulations and investigate complaints to make sure that commercial food made for animals is “safe, properly manufactured, and properly labeled.” However, dog food manufacturers aren't required to get FDA approval before selling — they're only required to properly label their products, and labeling rules can vary by state. For meal delivery services, we wanted to make sure that every company’s recipes were labeled as nutritionally complete and balanced. This means they either adhere to AAFCO Dog Food Nutrient Profiles or have passed feeding trials following AAFCO procedures. 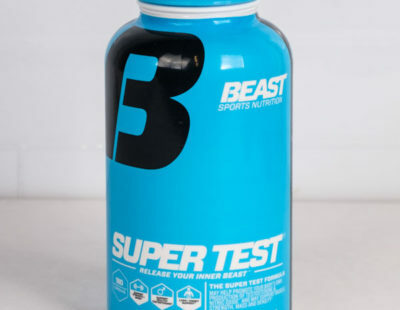 Basically, this label shows that the manufacturer has applied for and received approval from the FDA and AAFCO that its formula is nutritionally adequate. Because feeding your dog a nutritionally incomplete diet can result in serious nutrient deficiencies over time, we only considered companies whose recipes were all labeled as complete as well as balanced. Unlike just grabbing whatever looks alright on the shelves of a pet food store, ordering on meal delivery sites allows you to make quicker, smarter decisions about your dog’s food. The best should be able to customize your shopping experience by helping you personalize the order according to your dog’s individual needs. We dug into the websites of the 11 remaining contenders to compare what each had to offer and favored companies that personalize their food to your pet. We especially liked how some, like NomNomNow and The Farmer’s Dog, had us answer a short quiz about our pet’s weight, health, and habits to come up with the right serving size. Some, like Raw Wild and Pure Dog Food, skip that step — you choose the recipes, but have to figure out the correct portion size. Even when companies allowed us to personalize our orders, we preferred those that had a greater range of recipes and serving sizes. Just like humans, dogs can be picky eaters, and even tire of — or develop allergies from — eating the same stuff over time. Serving size can also differ — a huge brick of meat isn’t practical for a tiny dog, and a few spoonfuls per serving won’t make a big dog happy. The more unique recipes and serving sizes there are, the more likely you’ll be able to find what’s just right for your pup. The best should work around your life, not the other way around. We sought out companies that made ordering, pausing, and canceling meals as simple as possible. Our favorites let us skip weeks, stock up before a vacation, or easily cancel on their websites. Less flexible companies required us to receive deliveries every week without fail, or only once a month. If you’re trying to stock up for a trip away from home, or try different food for a week or so, you’re out of luck. After tallying up the results, we moved forward with the seven finalists that scored above average. They all made great first impressions online, and we wanted to see how easy they were to store and serve on a daily basis. Over the course of one week, we stocked our office fridge and freezer with dozens of pounds of dog food. Then, we rolled up our sleeves, unpackaged everything, and served up a substantial amount of gourmet canine cuisine to our tester, Haven. Packaging: We were looking for neat, secure packaging that was easy to break down. We didn’t encounter too many problems here — most were insulated with plastic foam and dry ice to keep the food chilled upon arrival. Instructions: The convenience factor for meal delivery services is null if you have to break out a kitchen scale and measuring spoons multiple times a day. Meals that included straightforward instructions — “serve one packet daily,” for example — won us over. Those with vague or completely lacking instructions were docked points. Ease of serving: We wanted mealtime prep to be as quick and mess-free as possible. We favored options that let us get food from package to food bowl quickly and with minimal effort on our part. Those that ended up getting raw meat or juice on the counter (or, sadly, on our clothes and faces) during prep and serving dampened our enthusiasm. Storage: If you’re like us, the prospect of raw meat bags lying willy-nilly in your fridge is not an appealing one. We liked brands that provided neat, Tupperware-like containers for simple and sanitary leftover storage after feeding time. 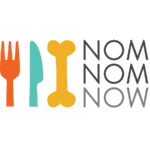 NomNomNow comes in individual, tear-and-serve pouches, making it easy to ensure your dog’s getting the right serving each time. Comparatively, The Farmer’s Dog uses larger squeezable baggies that hold two meals each. Pet Plate also stores both daily servings in a single container. As far as instructions and meal prep went, NomNomNow was by far the simplest. We loved that each meal was wrapped separately, eliminating the need to measure out portions or store leftovers. NomNomNow won us over with its variety of formulas and has the most of all our finalists at five total recipes. That means if your dog gets tired of Heartland Beef Mash, you can easily let them sample the four other recipes (Tasty Turkey Fare, Chicken Chow-Wow, Porkalicious Potluck, or Egg & Veggie Medley) to find a new favorite. And even though we only ordered one formula, our first order included full-sized samples of all five offered, along with a huge bag of chicken jerky that our office dogs gobbled up quickly. We love NomNomNow’s personalized ordering experience. Its online quiz asks for our pet’s name and if they’re a dog or cat. The quiz then asks us about our pet’s current weight and target weight to ensure they’re getting the right serving size. We also like having the option to add multiple dogs to your profile — as with our other two finalists — NomNowNow let us shop for both a Dachshund’s and a Siberian Huskey’s diets at the same time. In addition, NomNomNow gives you options to work your subscription around your lifestyle: You can easily add dogs to each order, and pause or cancel your subscription through the website, phone, or email. 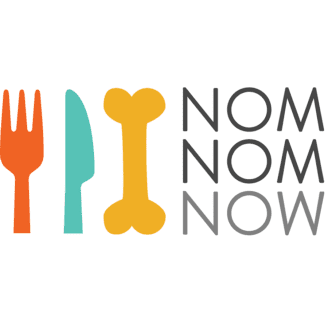 Like meal delivery services made for adults, dog food delivery services are pricey — and NomNomNow is the most expensive of our top picks. Plans start at $28 per week and are based on your dog’s weight. At $28 per week, it’s starting price is $8 more than Pet Plate and $12 more than The Farmer’s Dog. If you have a larger dog, expect to pay more. That said, we’re really impressed with the service from start to finish — especially how its individual, pre-portioned packaging makes mealtime a breeze. If you’re willing to pay a bit more for convenience, NomNomNow is your best bet. Right off the bat we were impressed by The Farmer's Dog’s sleek website and personalization quiz. Its quiz is by far the most in-depth version of any of our top picks and left us feeling like The Farmer’s Dog cares about creating a personal experience for dog owners and their dogs alike. The quiz asked about our dog’s breed and more specific questions like body type (which included helpful illustrations), activity level, and eating style. It even asked if our dog has issues like allergies, anxiety, itchiness, and tear stains. After answering so many questions, we felt confident that The Farmer’s Dog knew exactly what formulas would work best for our dog. Compared to our other top picks, The Farmer’s Dog is the least expensive dog food delivery option. Depending on your dog’s weight (or target weight), prices range from as little as $16 for a five-pound dog and up to $90 (for an 80-pound dog) per week. It only offers three recipes (Beef, Pork, and Turkey), but it’s easy to try The Farmer’s Dog if you’re not sure whether or not a meal delivery service is right for your pet — the company offers a refund for the first delivery if you’re not satisfied. 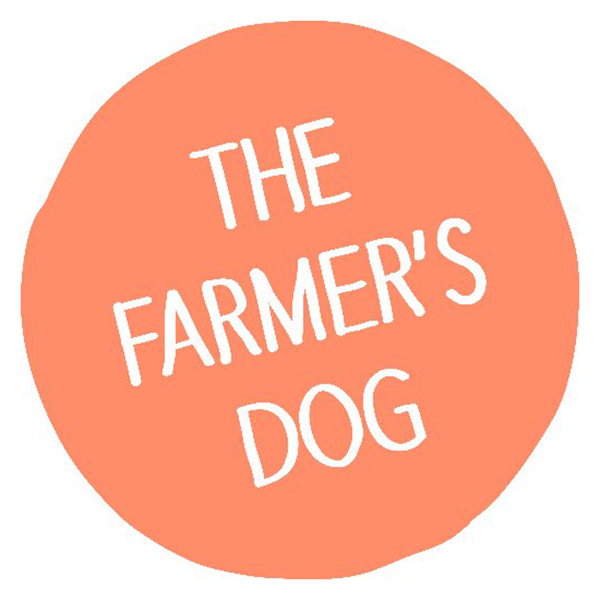 The Farmer’s Dog is great for those who like to travel and are worried about missing a delivery. It offers some of the most flexible delivery options of all the finalists. You can choose for deliveries to arrive in intervals anywhere between 2-12 weeks with 14 meals each, which means planning around vacations is a cinch. Next to NomNomNow’s generous samples, and Pure Dog Food’s plastic containers, we felt skeptical about The Farmer’s Dog’s mushy food bags and tray for storing leftovers, which looked like a compostable takeout container. We had to use scissors on the Farmer’s Dog packs and since the food is packed right up to the edge, it’s easy to accidentally get food on your scissors. Our instructions told us to feed our dog half a bag of food per meal. The bags aren’t resealable, however, so you’ll need to fold up the leftover pack and store it in the container. But in practice, it worked well: We were able to get food in the bowl and stored away in the fridge without delay or mess, every time. The Farmer’s Dog is still a great option for those who don’t mind the extra effort at mealtime. Pet Plate’s containers are way ahead of the pack. Food arrives in plastic containers with sealable lids. Even though Pet Plate uses more packaging per serving than NomNomNow and The Farmer’s Dog, a rep assured us that its plastic containers can be recycled. Each container holds a day’s worth of meals, and serving instructions are clearly labeled on the back: Scoop out half for breakfast, pop the lid back on, and store it in the fridge until dinnertime. Pet Plate makes the delivery process pretty simple. We appreciate how easy it is to skip a delivery or pause your subscription in your account settings. Even cancelling service isn’t an issue and can be done right online. Some companies require you to call or email a customer service rep before they stop billing you. It’s only a minor inconvenience, but we prefer brands that don’t try to rope us back in when we’re ready to leave. Sometimes dogs are picky and it takes just the right formula to get them to eat. Luckily, Pet Plate has four recipes to try — the second most of our top picks. Recipes areHarvest Chicken, Oven Roasted Turkey, Farmhouse Beef, and Braised Lamb with each formula listing meat as the first ingredient. If your dog still doesn’t like any of these flavors, Pet Plate offers a 100% money-back guarantee. Compared to The Farmer’s Dog, Pet Plate’s dog meal plan quiz leaves much to be desired. 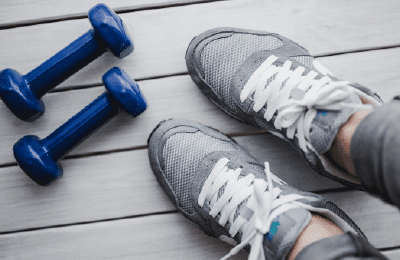 It’s designed to be simple and completed in “four easy steps,” but it doesn’t give that personal touch that makes us feel like our dog’s individual needs are being catered to. Pet Plate doesn’t ask about health issues, like allergies or skin conditions. It also doesn’t ask about your dog’s breed or body type (it does ask about weight). That said, if your pet doesn’t have any serious medical conditions that need to be catered to through a particular diet, Pet Plate is worth looking into thanks to its variety of recipes and easy packaging. Many people sing the praises of raw dog food — it can be a good solution for allergy-prone pups, and it promotes healthy hair and skin — but it’s not a canine cure-all. As with any type of dog food, it still carries some risk of bacterial contamination. Before beginning with a dog food delivery service, make sure the company caters specifically to younger and older dogs. If it doesn’t, it’s best to be safe and avoid serving raw food to puppies or senior dogs, whose immune systems are generally weaker and may not be able to combat bacteria. Dog food delivery services are convenient for people who have busy schedules but still want to ensure their dogs are getting the best food available. That said, not all companies are flexible with deliveries. If you like traveling and need to frequently stock up on food, or skip a delivery altogether, make sure your dog food delivery service is capable of doing so before signing up. Dog food delivery services are expensive, mainly because the ingredients are so fresh and meals are catered to your individual dog. Pricing varies depending on which company you choose and your dog’s weight. Shop around for the price that meets your budget. It’s also a good idea to look at any first-time customer discounts, as many dog food meal delivery services offer exclusive deals for new subscribers. What are the different types of raw food? Uncooked: Refers to what comes to mind for most people when they hear “raw” — not medium rare, rare, or lightly sizzled, but literally raw. Only a few of the companies we looked at sold truly uncooked raw food, but we weren’t impressed at how messy our countertops, tools, and hands got with prep, which is a big drawback due to contamination concerns. Cooked: Meat and produce that’s cooked under temperatures and pressures equivalent to those for at-home cooking for humans. Most of the companies we looked at sold cooked raw food, which means the meat you’re handling isn’t just-off-the-bone raw, but more like taco filling or chicken casserole. Freeze-dried: Freeze-dried raw food is created when the moisture from cooked dog food is vaporized in a low-temperature vacuum chamber. 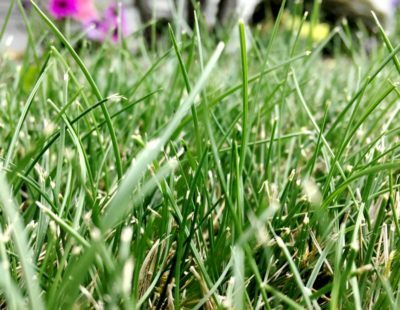 This results in dog food that is extremely light and mess-free, while not being as processed as dry dog food. Freeze-dried food is often sold in the form of small nuggets, which can be eaten as is, broken up into crumbs, or rehydrated into a mushier meal with the addition of water. How long does it take a dog to adjust to new food? Unless your dog has a stomach of steel, it’s important to change his diet gradually, not all at once. A slow and steady diet transition is even more important when the old food differs greatly from the new food. Exactly how to carry this out will vary according to your dog’s individual habits, but a general rule of thumb is to take at least a full week to fully transition from an old food to new food. Start off by just mixing in a small amount of new food to your dog’s old food so the ratio of old-to-new food is around 90%/10%, then gradually increasing the amount of new food over time. If your dog begins vomiting, has diarrhea, refuses to eat, or exhibits any other concerning behavior in reaction to the change, switch back to the old food and contact your vet. Does “human grade” mean it’s better quality? A lot of dog food products are marketed as “human grade," but we found in our research that exactly what the term means is pretty up in the air. The AAFCO states that the term “human grade” has “no definition in any animal feed regulations.” We know you want your best friend to eat as well as you do, but it’s better to look at the ingredients and guaranteed analysis to see whether or not the food is high quality.